28. Wen-Lii Huang and Li Fei Liu. 2002. Carbohydrate metabolism in rice during callus induction and shoot regeneration induced by osmotic stress. Botanical Bulletin of Academia Sinica 43: 107-113. (SCI). 29. Wen-Lii Huang, Yi Chung Tsung, and Li Fei Liu. 2002. Osmotic stress promotes shoot regeneration in immature embryo-derived callus in rice (Oryza sativa L.). J. Agricultural Association of China. 3(1): 76-86. 7. Hui-Ying Hou, Rong-Kuen Chen, Jeng-Chung Lo and Wen-Lii Huang*. 2016. Development and application of a functional marker related to root number from a novel OsGRAS-like gene in rice. 2016 International Symposium on Plant Transformation Biotechnologies. Academia Sinica, Taipei City, Taiwan. (2016.10.17-19) Poster. P. 49. 14. Wen-Lii Huang*, Pei-Shiuan Huang, Hui-Ying Hou, Rong-Kuen Chen, and Jeng-Chung Lo. 2016. Tetra-ARM marker development for root number and drought tolerance at rice seedling stage by association mapping strategy. The 7th International Crop Science Congress. Beijing City, China. (2016.8.14-19) Poster. 20. Wen-Lii Huang*, Ching-Wen Chiu, Shu-Tseng Lin, Wei-Chen Wang, Shin-Lon Ho. 2015. The putative role of PP2A catalytic subunit isoform 2 as a negative regulator on osmotic stress tolerance in rice. The 13th International Symposium on Rice Functional Genomics. Wuhan, China. (2015.9.21-24) Poster, SI-25. 21. I-Cheih Chou, Chin-Yu Wu, Chwan-Yang Hong, Wen-Lii Huang*. 2015. Molecular cloning and functional analysis of AKR4C15 gene in rice. The 13th International Symposium on Rice Functional Genomics. Wuhan, China. (2015.9.21-24) Poster, S5-35. 28. Pei-Shiuan Huang, Rong-Kuen Chen, Pei-Hsing Liu, Jeng-Chung Lo, Meng-Chi Chang, and Wen-Lii Huang*. 2014. Development of Tetra-ARM markers for drought tolerance and root number in rice seedling stage. The 12th International Symposium on Rice Functional Genomics. Tuscan City, Arizona, USA. (2014.11.16-20) Poster. 34. Wen-Lii Huang, Shiang-Ting Lee. 2013. Cross talk between endogenous hormone signals and carbohydrate metabolism for inducing regenerable callus by osmotic stress treatment. The 11th International Symposium on Rice Functional Genomics. New Delhi, India. (2013.11.20-23) Poster, PII-71. 35. Chin-Yu Wu, Chwan-Yang Hong, Wen-Lii Huang*. 2013. Overexpression of OsAKR4C15, a novel aldose reductase gene, enhances tolerance to sorbitol in transgenic rice. The 11th International Symposium on Rice Functional Genomics. New Delhi, India. (2013.11.20-23) Poster, PI-47. 52. Wen-Lii Huang*, Chia-Huei Lee, Li-Fei Liu, and Yi-Rung Chen. 2010. Cross talk among osmotic stress, phytohormone levels, and carbohydrate metabolism in rice callus during shoot regeneration. Plant Biology 2010. Montreal, Canada. 55. Wen-Lii Huang＊ and Jeng-Chung Lo. 2009. Cloning and Characterization of Tissue- and/or Stress-specific Expression Promoter from T-DNA Tagged Rice Mutants. The 6th International Rice Genetics Symposium. Manila, Philippine. 56. Wen-Lii Huang＊ and Wei-Chih Lin. 2009. Molecular characterization and functional analysis of the OsAR5 gene in rice. Plant Biology 2009. Honolulu, Hawaii, USA. 60. Wen-Lii Huang*, Wei-Chih Lin, and Su-May Yu. 2008. Isolation and characterization of rice OsAR genes from T-DNA insertional mutants. The 6th International Symposium of Rice Functional Genomics. Jeju, Republic of Korea. 67. Wen-Lii Huang*、Yan-Ni Lee、Su-May Yu. 2007. Screening and analysis of T-DNA insertional rice mutants responsive to abiotic stresses. The 2nd International Conference on Plant Molecular Breeding, From Genomics to Plant Improvement. Eds by Z.K. Li and X.J. Fang. Sanya, Hainan. China. Pp. 128. 68. Zi-Ling Jian1、Shu-Juan Lee1、Jeng-Chung Lo2、Yan-Ni Lee1、Lan-Xin Liu1、Su-May Yu3、Wen-Lii Huang1*.2006. Screening of tissue- and/or stress-specific promoter from T-DNA insertion rice mutants. In: International Symposium on Ecological and Environmental Biosafety of Transgenic Plants. Eds by S.C Huang, S. Chen, and C.Y Lin. Pp. 7-8. Taiwan Agricultural Research Institute, COA, Taichung, Taiwan. 78. Wen-Lii Huang and Li Fei Liu. 2003. Expression and localization of starch metabolism related enzymes in rice during callus induction and shoot regeneration. In “International Symposium on Plant Biotechnology 2003” I-Lan, Taiwan, pp. 39. 80. Liu, L. F. and W. L. Huang. 2002. High endogenous glucose content may play an important role in rice shoot regeneration induced by osmotic stress. In “The 10th IAPTC & B Congress, Plant Biotechnology 2002”. Orlando, Florida, USA, pp. 138-A (P-1418). 82. Wen-Lii Huang and Li Fei Liu. 2001. Carbohydrate metabolism in rice during callus induction and shoot regeneration induced by osmotic stress. In “Plant Environment Interactions: Genes, Proteins, and Biotechnology Abstract, ed. By T.H.D.Ho." Taipei, Taiwan. 84. 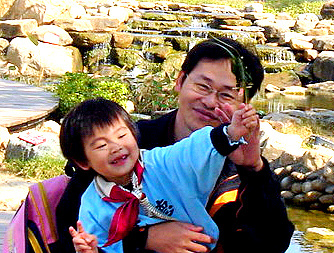 Wen-Lii Huang and Li Fei Liu. 1998. Carbohydrate metabolism during shoot regeneration from rice callus. In “The 3rd Asian Crop Science Conference Abstract, ed. by K.L. Lai.” Taichung, Taiwan. pp. 59. 85. Wen-Lii Huang and Li Fei Liu. 1997. Sucrose and starch metabolism during shoot regeneration from rice callus. Plant Physiol. (supplement) 114(3): 310. 86. Li Fei Liu, Yi. Chung Tsung, and Wen-Lii Huang. 1997. Sugars induced shoot regeneration from rice callus. Plant Physiol. (supplement) 114(3): 310. 87. Wen-Lii Huang and Li Fei Liu. 1996. Sucrose metabolism during plant regeneration from osmotic-stressed rice callus. In “The Fifth International Symposium on Rice Molecular Biology Abstract, ed. by J.C. Su.” Taipei, Taiwan, pp. 47. 88. Wen-Lii Huang and Li Fei Liu. 1995. Sucrose and starch metabolism in rice callus regulated by osmotic stress. In “The First International Symposium on Sucrose Metabolism Abstract, ed. by H.G. Pontis.” Mar Del Plata, Argentina. pp.70.